Marker Flags are great for marking buried cable, underground wires like invisible dog fences or where to dig on a construction site. Just push the end of the wire into the ground and walk away. A marker flag is a great way to date freshly fertilized lawns and leave a bit of advertising when you leave. Choose flag size 4x5" or 5x8"
Choose wire length 21" or 36"
If you are looking for a custom marker flag, please contact us for a quote contact us online or call us at 1-888-697-3524 for more information. Custom imprints start at a minimum of 1,000 flags (or 10 boxes) for a 1 color imprint, or 4,000 flags for 2 color imprints (only available on 4x5" flags). Please call 1-888-697-3524 for price quote. Printed in the U.S.A.
Prices are per box of 100 solid-color flags. Gettysburg Flag Works offers a large selection of marker flags. 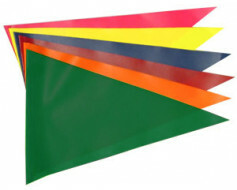 These flag markers come in twelve different colors and two different sizes. They are mounted on wire staffs that come in two different lengths. 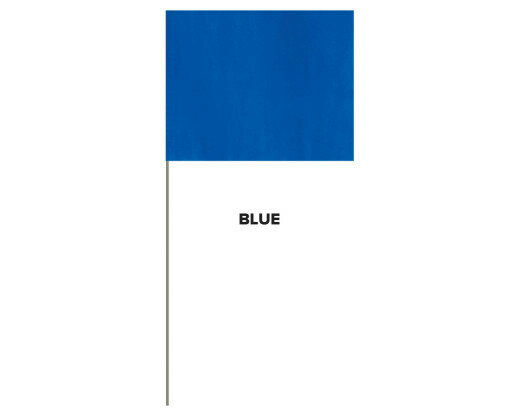 A marker flag has so many functions for both residential and commercial users. 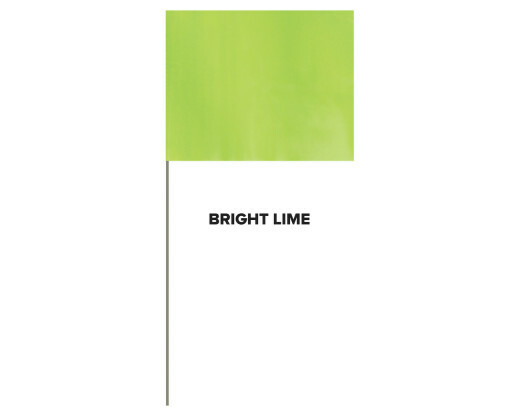 At your home, a flag marker is a great way to mark invisible fences used for pets. Marker flags can also mark off lawns that have been treated and should not be walked on. 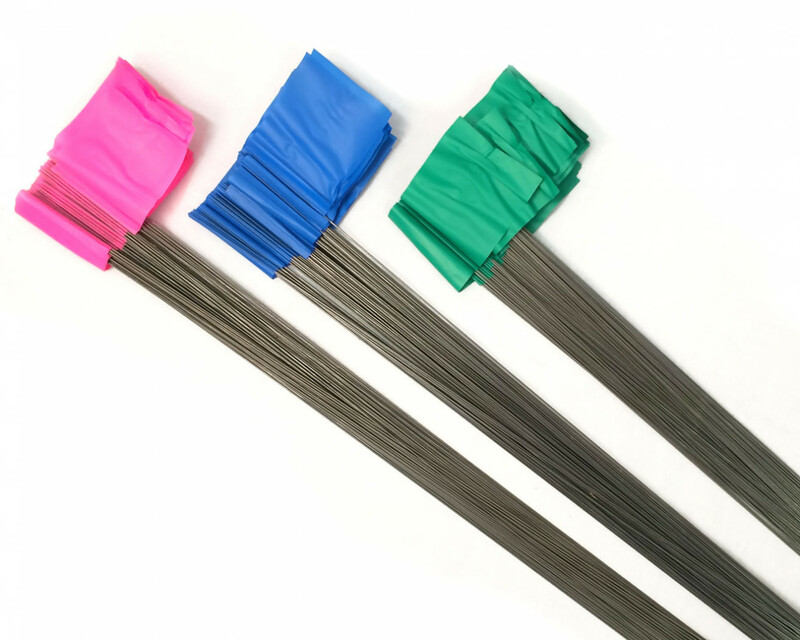 If you are looking for an effective way to mark buried cable, underground wires and pipes, marker flags are the perfect solution. Different types of businesses also use flag markers. Many agricultural companies use a marker flag to identify their crops. Retail businesses use them in their distribution centers as a means to identify various sections or product categories in the warehouse. Manufacturers use them to mark machinery. Finally, construction companies use marker flags to delineate boundaries, proposed excavation and temporary survey markings. 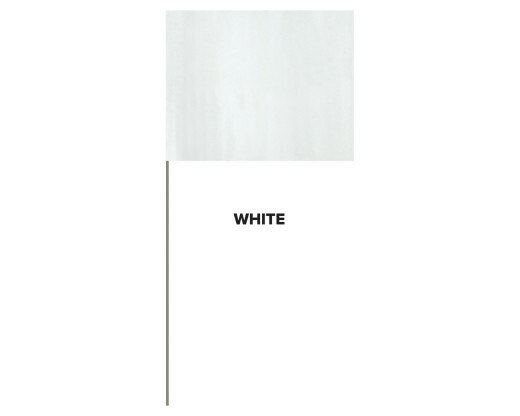 A flag marker is easy to use – just push the end of wire into the ground and walk away! An economical and disposable marking solution. Gettysburg Flag Works offers quantity discounts and pricing per each box of 100. If you are planning on a flag marker, you might want to also consider a bike flag. 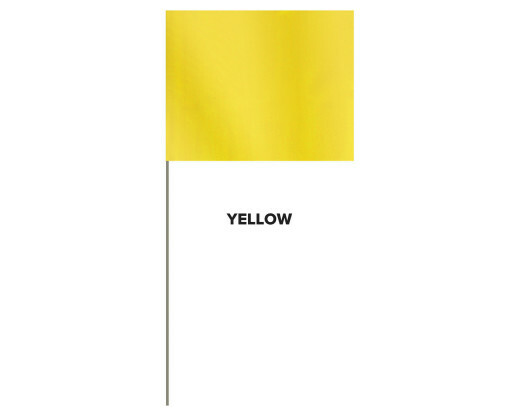 Bike flags can serve the same function as a marker flag but are much larger allowing for greater visibility and opportunity to customize the means of identification. 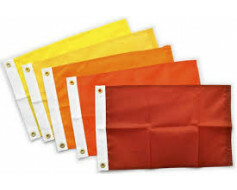 Bike flags come in a wide assortment of colors and can be purchased as a vinyl flag only or as a set. 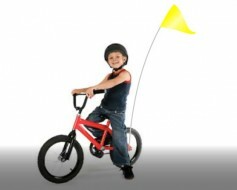 Bicycle flag sets can include a vinyl flag mounted to a 6' tall white fiberglass rod. 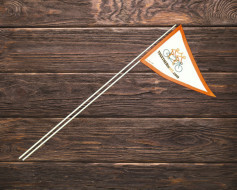 Bike flags are also available with whip rods which are great for use on golf carts, wheelchairs and for marking crops. A custom marker flag gives you the ability to personalize your purpose. Whether it's to specify the intent of the marker flag, to identify a date, or to create some other form of awareness, custom flag markers will accomplish your goal. Customization requires a minimum purchase of 1,000 flags (10 boxes) for a one color imprint or 4,000 flags for two color imprints. Gettysburg Flag Works will happily work with you to create the most effective custom marker flags for your needs.